HOSA , Future Health Professionals is a national vocational organization endorsed by the U.S. Department of Education and the Health Occupations Education (HOE) Division of the American Vocational Association. HOSA’s two-fold mission is to promote career opportunities in the health care industry and to enhance the delivery of quality health care to all people. HOSA provides a unique program of leadership development, motivation and recognition exclusively for secondary, post-secondary, adult and collegiate students enrolled in the health occupations. 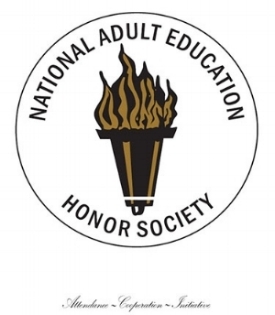 The National Technical Honor Society is an honor organization for students who achieve outstanding success in vocational-technical education. It is America’s foremost scholastic honor for excellence in workforce education. Fewer than two percent of America’s secondary and post-secondary students are nominated for membership into this prestigious organization. Students are nominated by their instructors and a ceremony is held annually to induct new members. SkillsUSA is a national organization that serves trade, industrial, and technical students and instructors. SkillsUSA is dedicated to developing a well-rounded education by enhancing leadership, citizenship, safety, and skill training. Members compete on regional, state, and national levels in their skill areas. The instructors at Manatee Technical College support and encourage participation in this student organization.